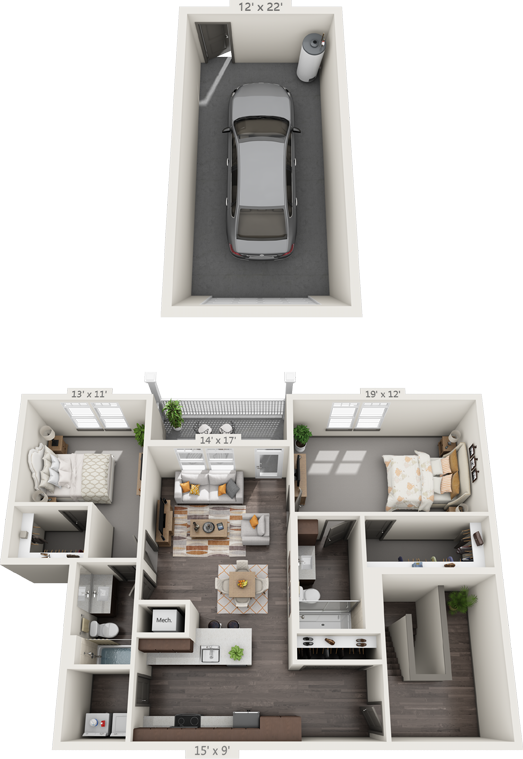 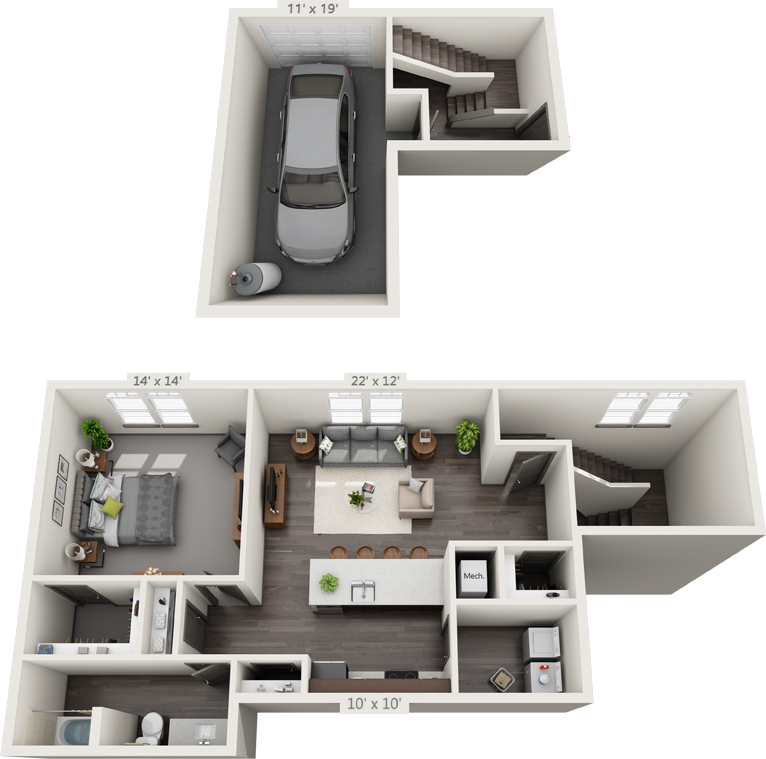 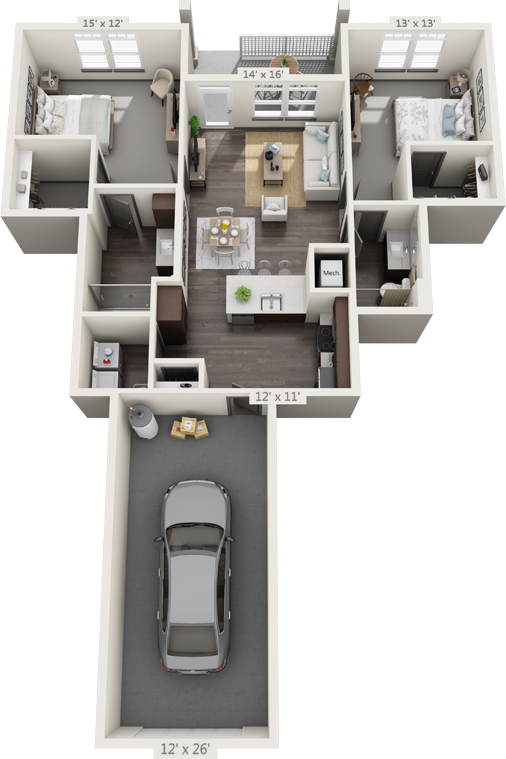 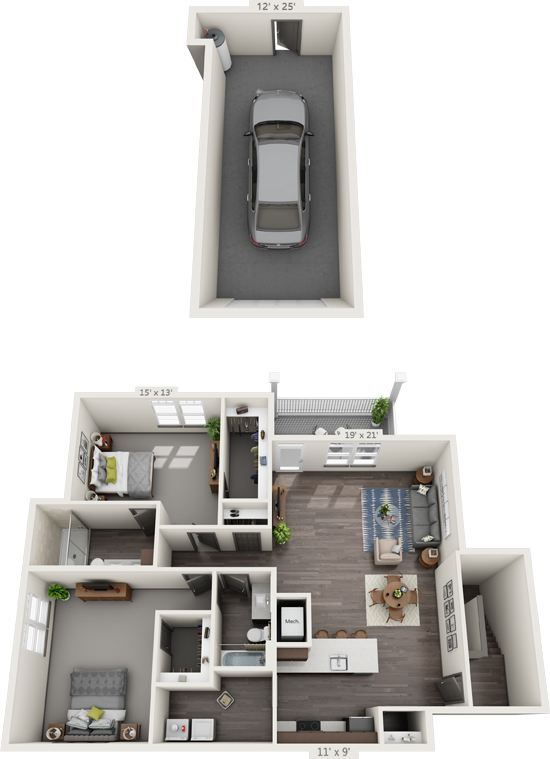 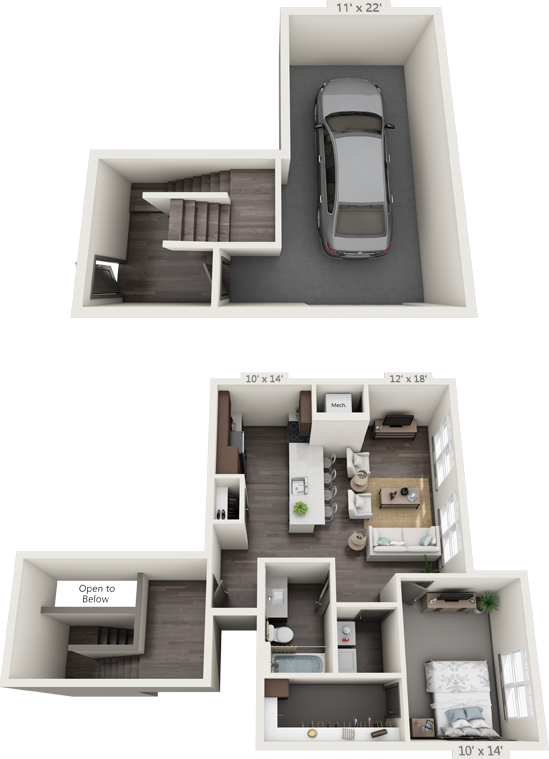 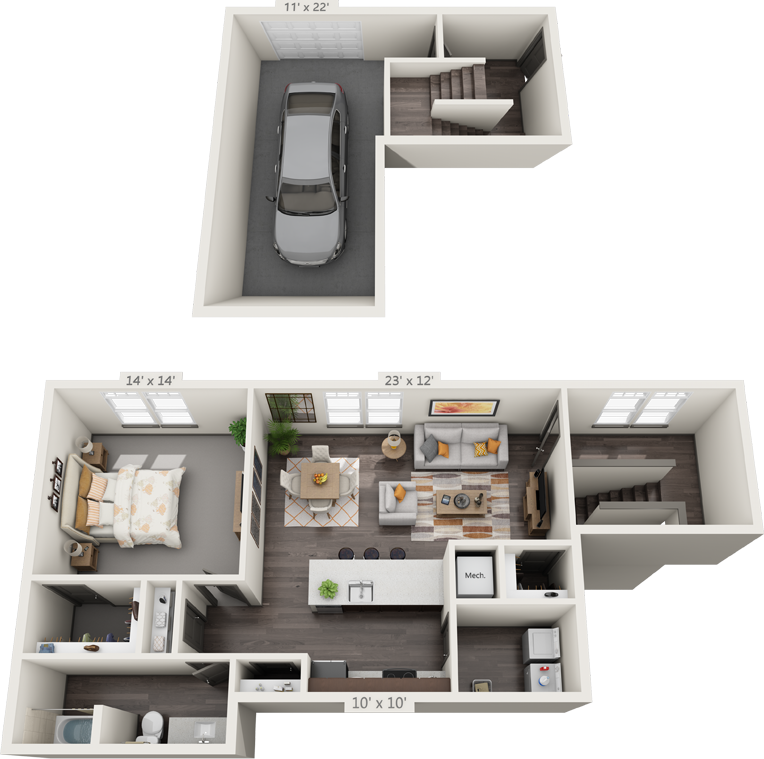 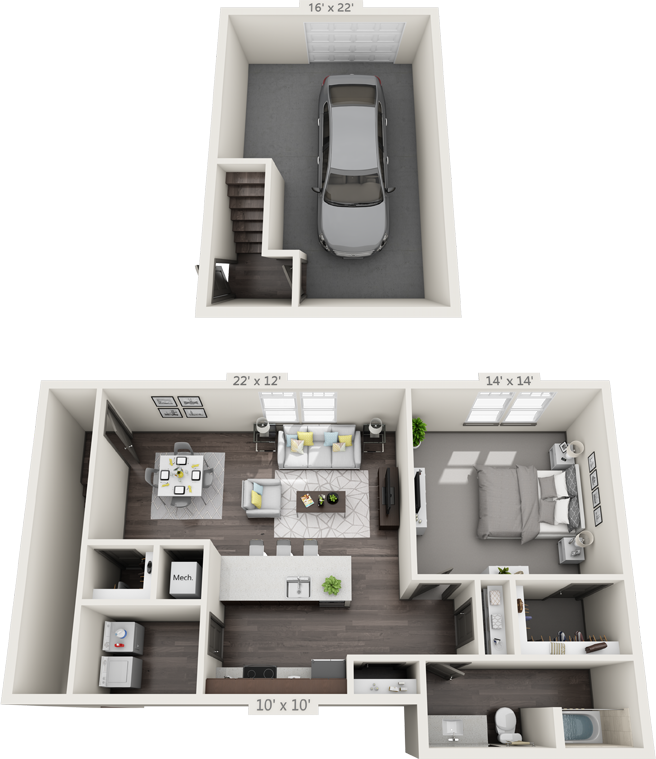 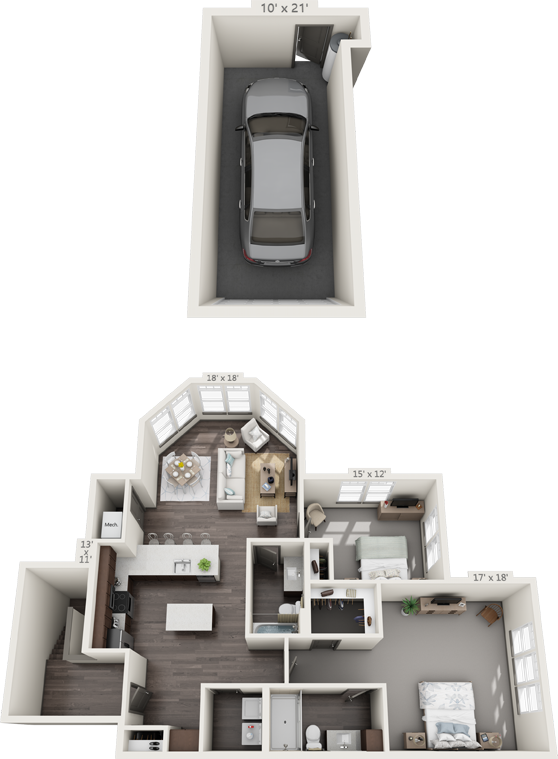 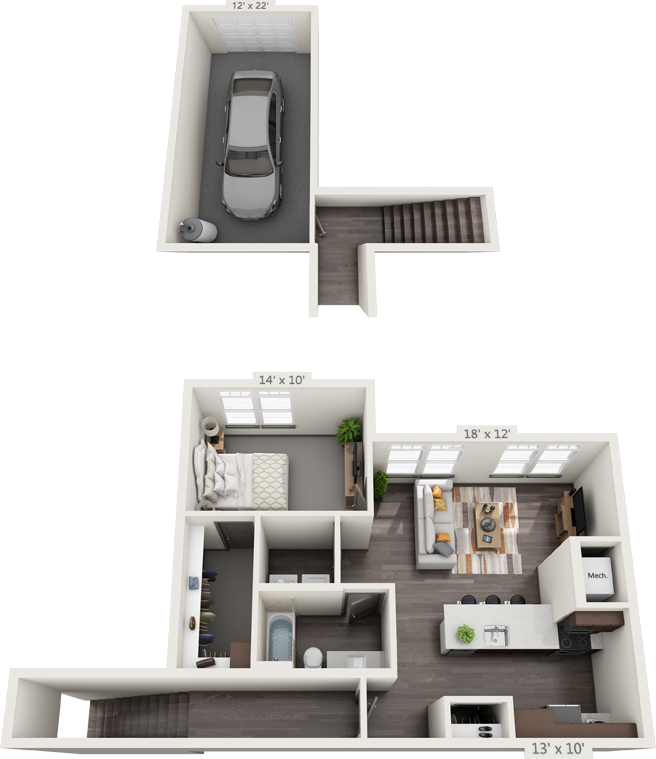 Find your perfect living space with the options of one, two and three bedroom apartment floor plans at 23West. 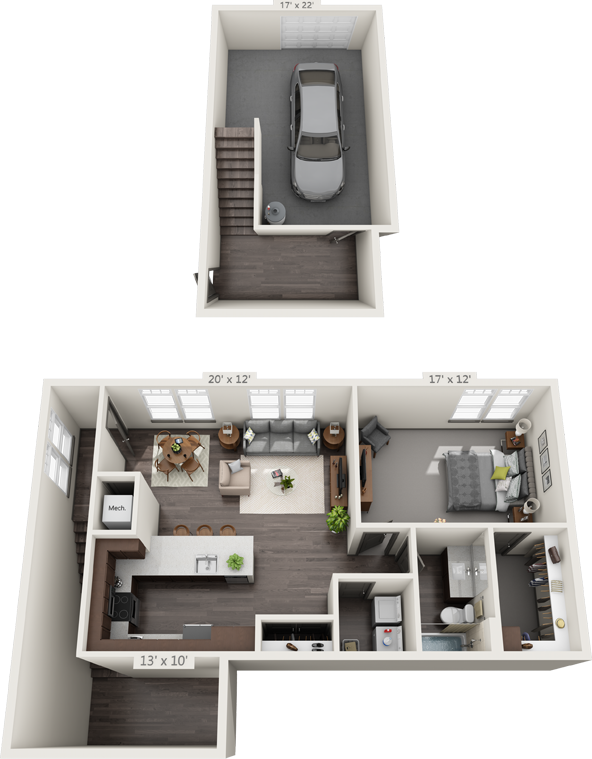 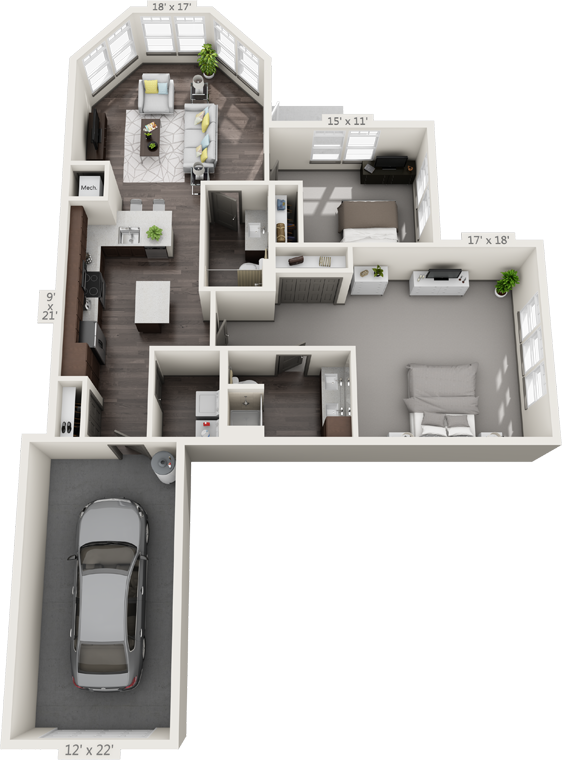 Offering over a dozen floor plans to fit your lifestyle, 23West makes it possible for you to find the ideal layout and amount of square footage in an apartment to suit your needs and budget. 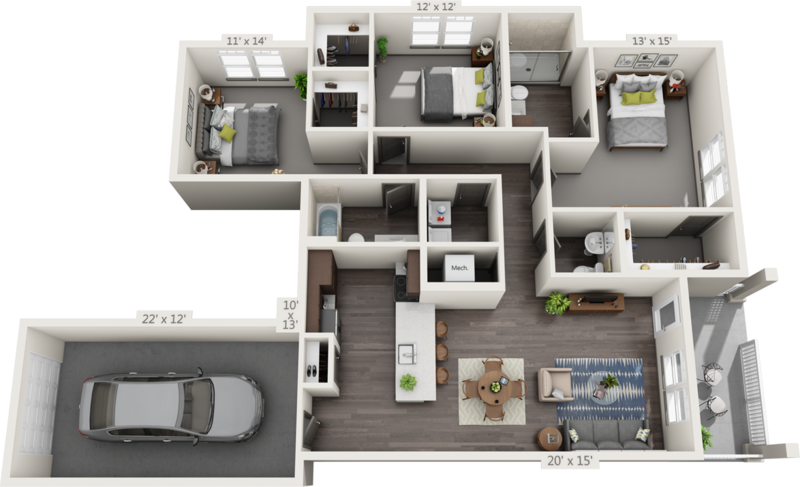 Each of our luxury apartments in Gainesville also features tile floors in the kitchen and bath areas, carpet in bedrooms, designer light fixtures, upgraded cabinetry, plus spacious walk-in closets. 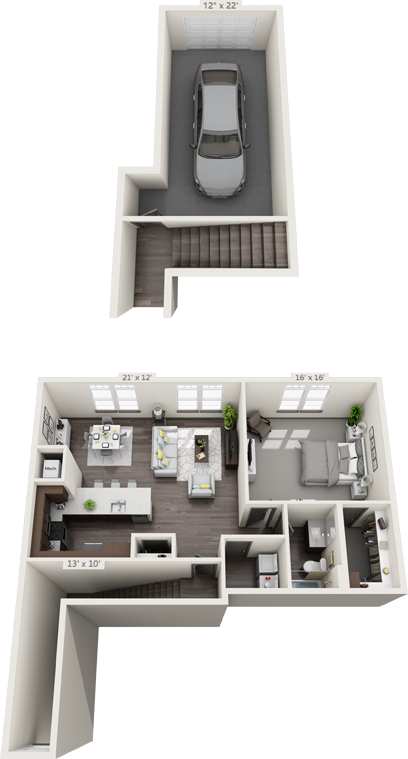 Select apartment features at 23West include a covered balcony or patio and a double vanity in the master bath for the best in both privacy and luxury. 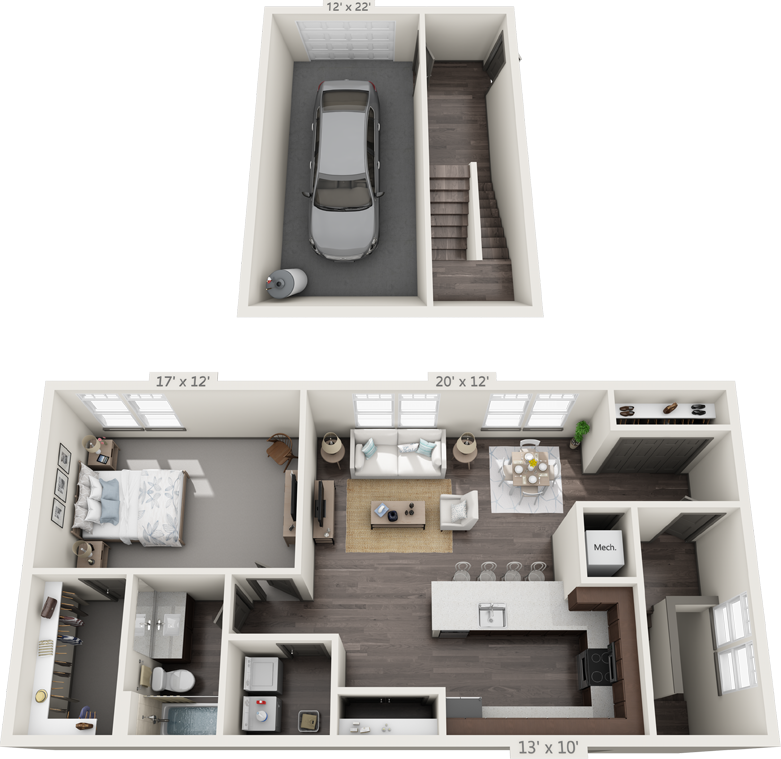 To see our floor plans firsthand, join our waiting list and be one of the first residents of this exciting new community. 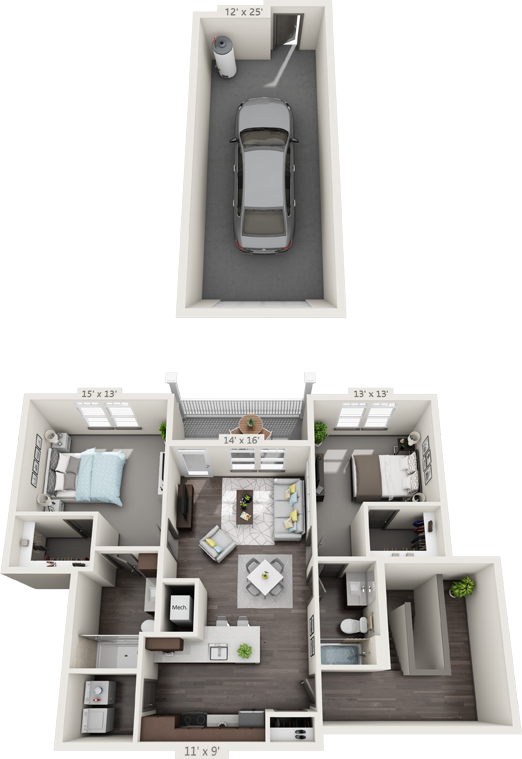 Leasing rates are subject to change at any time.